The needle slid easily into the vein and its lethal contents were injected slowly. The final good-byes had been said and now, as tears streamed down his face, the owner reflected on what went wrong as he watched his dog die. He thought about how hard he’d tried – he had sought out the best trainer he could find and when the behavior didn’t improve, he had sought out another. No one, it seemed, either could or would offer him a solution to solve the behavior problem which ultimately had proven terminal. If the above paragraph seems overly dramatic, I can assure you it is exactly how many dog and owner relationships end, in my opinion, is that many such endings are needless and can be rightfully attributed to a philosophy that ironically calls itself “dog-friendly.” The philosophy I’m speaking of is also known as “PP” (purely positive) and is based entirely on facilitating behavioral change by awarding or withholding positive reinforcement. Sometimes also referred to as PROC (Positive Reinforcement Operant Conditioning), in some areas of the country its trainers have become so numerous they are all the public can access. The problem I have with the pure positive philosophy is that it lacks balance. Pure positive trainers don’t use corrections, claiming any aversive punishment is unnecessary. Many among their ranks refer to anyone who uses corrections or punishment as cruel and their equipment and methods as abusive. Having a real problem with the word “no,” or any other word with a similar meaning, their pursuit of getting such words out of the trainers vocabulary has an almost fetish like quality. Both in their dealings with the public and their dealings with other trainers, who subscribe to more balance in their approach, I find many of its practitioners to be arrogant, zealous and dishonest. I want to make it clear that my remarks are directed primarily at the evangelical promoters and the zealous fanatics within this movement; I do not, however, want to paint all trainers that follow such a philosophy with the same brush. Narrow-minded people occupy every ideology as do zealots. Within the dog training community there are some trainers who have developed very good skills with a positive approach and they freely admit they use this approach because it is their own preference. They concede there are other methods that at times might need to be used and if they aren’t in a position to use these alternatives, they will refer the client to someone who can. They do not use inflammatory and derogatory terms to label colleagues who have chosen different techniques. I have no problem with these trainers rather I hold them in high regard – they state their choice and are not attempting to limit others right to choose. While they may remain unconvinced another approach might work better, they will not try to eliminate it from the realm of possibilities and choices. The honest among them will acknowledge that just as they were free to operate from choice, so should others be free to choose. There is nothing offered by PROC methods which is not also available in a more balanced approach. In addition to the tools and approaches used by the purely positive trainers, balanced trainers add the use of whatever corrections are necessary to make the point completely clear to the dog. Corrections are simply information to offer clarity about what is wrong, what the consequence is and what needs to be done to get it right. The PROC trainer, therefore, offers far less than the balanced trainer – less information to the dog and fewer options to the owner. Other than time-outs, “ignore him when he’s bad,” controlling all ‘resources’ and withholding all rewards, there is a real poverty of effective consequences. If those don’t work, they will often label the dog as not trainable and, rather than try using effective corrections, the lethal injection is often all they are prepared to offer. There should be far more information (in terms of behavior changing consequences) provided to the dog before that final and drastic step is taken. Contrary to their claims, a PROC training approach is not as effective and takes considerably longer to reach any level of reliability even close to what a balanced approach can produce. In some instances, reliability cannot be realized using a positive only approach and some dogs will not be trainable at all until appropriate corrections are included. When this lack of reliability, and the increased time PP training takes is raised with PROC trainers, a common response is that they are willing to take longer because their approach is humane. Several things about this attitude bother me: IT’S YOUR MONEY AND TIME THEY ARE WORKING WITH – THE LONGER THEY TAKE THE MORE IT COSTS YOU, their suggestion that PP is more humane is false and this assertion is paramount to emotional blackmail. Balanced training is about 15% more effective, is considerably more efficient with faster results and has a far better track record for producing the changes necessary to allow the dog to remain in his home. The statistics I cited above are from a lecture given to a Toronto audience in the early 1990’s by Dr. Ian Dunbar. 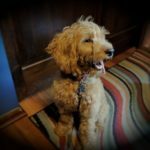 (I refer to Dr. Dunbar because these days he is so highly regarded by many in the PP movement who view him as the vanguard of the “dog-friendly” training concept.) He stated that the most effective training occurs when positive rewards are combined with positive punishment (i.e., praise/reward combined with correction/punishment). He said that under controlled testing for reliability, when positive only methods were used the reliability factor could be brought no higher than the low to mid 80% range (ranged between 83 – 85%). He went on to say when appropriately timed punishments were added, the reliability increased by 12-14% to a maximum of 97%. He said that no one was able to observe a 100% reliable response, i.e., perfect on all aspects of the tests under a wide range of varying circumstances. The crux of the problem is their presumption they know something that escapes the rest of us. Because they are adamant that aversive corrections are not necessary and since they are committed to that ideology, they would rather kill the dog than correct it. They would rather kill a few dogs than review and possibly change some of their beliefs. Since they hold the arrogant belief that they are kinder, more humane, enlightened and “dog friendly” than those who would correct, they are confident in believing they can speak for dogs. Whatever they want is what the dog wants! Keep in mind, THIS IS YOUR DOG THEY ARE TALKING ABOUT – their philosophy fails and your dog dies. By now the reader may be wondering where positive reinforcement fits into a balanced training approach. Answer: It is included in EVERY training sequence. A good trainer will base their approach on the needs of the dog they are training. They are flexible enough to use the right amount of positives and negatives in just the right quantity to produce the desired outcome. A good trainer will also know the limits of their own training ability and the methods they choose to use; they will know when to refer the client to a practitioner whose skills might be better suited to the dog’s needs. Drawing a parallel to the medical model might help here. Imagine you are taking a family member to a specialist in internal medicine. The loved one is very ill. The internist identifies a life threatening problem that requires surgery. Surgery is outside this doctors scope of practice. Which response would you expect from the doctor? In my mind’s eye I can picture the dog (from the opening paragraph) on the table frantically struggling to live. As the death juice spreads through his body, as the dog’s vision goes to black, I can imagine his last thoughts as being, “Why this? What did I do wrong? Why didn’t somebody stop me.